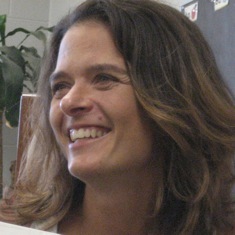 Mandy Robek has been teaching for over 20 years. She has taught first, second, and third grade, and currently teaches kindergarten where she finds guiding emerging readers and writers fascinating. Mandy has degrees from the State University of New York College at Buffalo and The Ohio State University. You can follow Mandy at her blog Enjoy and Embrace Learning. 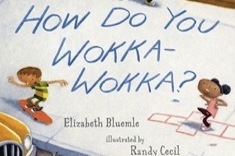 Mandy Robek compiles a list of her favorite books for brain breaks with young learners. Mandy Robek finds herself overwhelmed when moving from a 3rd grade to kindergarten classroom. Her therapy? Rolling up her sleeves and designing a kindergarten classroom library. 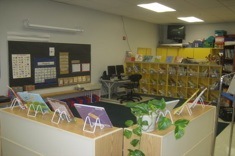 Mandy Robek faces the challenge of creating a warm and inviting classroom environment which still includes some cold, hard computers for student use. Mandy Robek gives a tour of her kindergarten classroom, highlighting literacy spaces that build relationships and independence for her young learners. 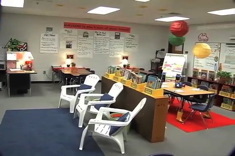 Aimee Buckner hosts this video tour of Cheryl Cole’s second grade classroom at Brookwood Elementary School in Gwinnett County, Georgia. Cheryl shares the many strategies she uses to promote literacy learning in a warm, friendly environment. 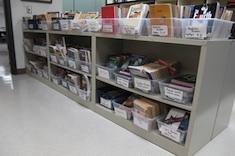 In this three-minute video, The Sisters (Gail Boushey and Joan Moser) take viewers on a tour of an elementary bookroom. 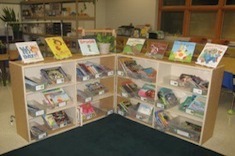 The books are arranged by levels.